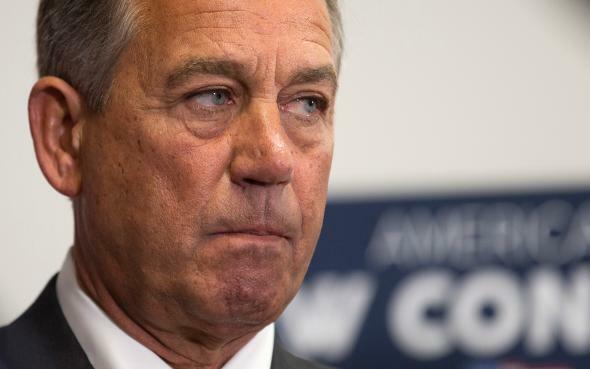 Boehner cuts climate change from State of the Union? Speaker's office says no. ThinkProgress, a liberal site backed by the Center for American Progress, published a story Wednesday noting that certain parts of President Obama’s State of the Union address—including his sharp criticism of Republicans who defend their stance on climate change by saying they aren’t scientists—weren’t included in video of the address posted by House Speaker John Boehner’s office. A spokesman for Boehner, though, says the omission of a few sections of the speech wasn’t intentional. The video, published on the Speaker’s YouTube page, includes most of the address, along with split-screen running commentary on issues the president addressed. “If it does turn out that the edits were intentional, it wouldn’t be the first time a government official attempted to censor climate-related content,” ThinkProgress’s piece said. But Michael Steel, a spokesman for the speaker, said the omissions weren’t on part of any nefarious censorship plot. Read more of Slate’s State of the Union coverage.